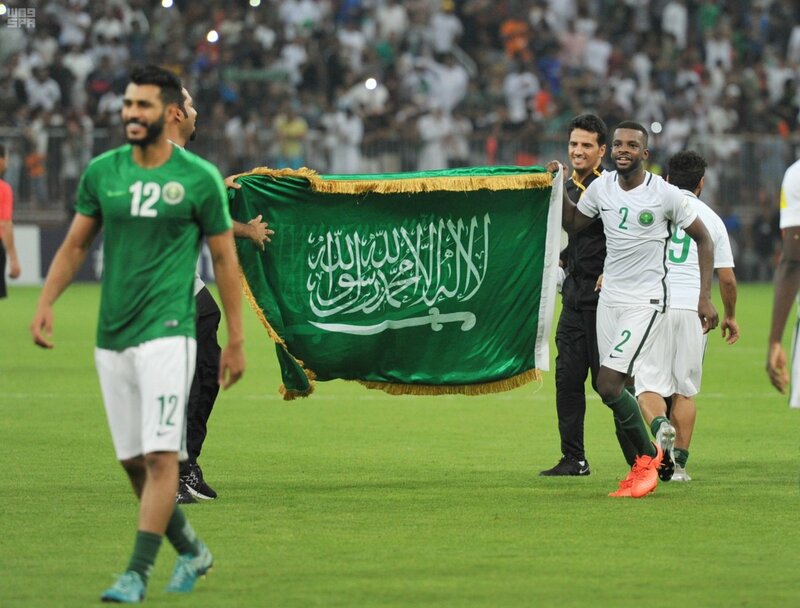 Saudi Arabia’s World Cup squad won a friendly match against Greece 2-0 on Tuesday as the Kingdom sets its sights on its first tournament bid since since 2006. ESPN.com has an excellent breakdown of the Saudi team and how it got to secure its first World Cup bid in over a decade, since failing to qualify in 2010 and 2014. While Saudi Arabia are on their third coach in less than a year, “the squad is built on a solid core of players,” ESPN writes. The United States did not qualify for the 2018 World Cup. Saudi Arabia will play host country Russia on June 14 in the first match of the 2018 world cup. The squad is currently ranked 70th in FIFA rankings.